Dentures artificially replace your natural teeth and gums. There are two types of dentures: partial and full dentures. In both cases, Dr. Hanna makes a model of your teeth from an impression, then manufactures your custom-made dentures. 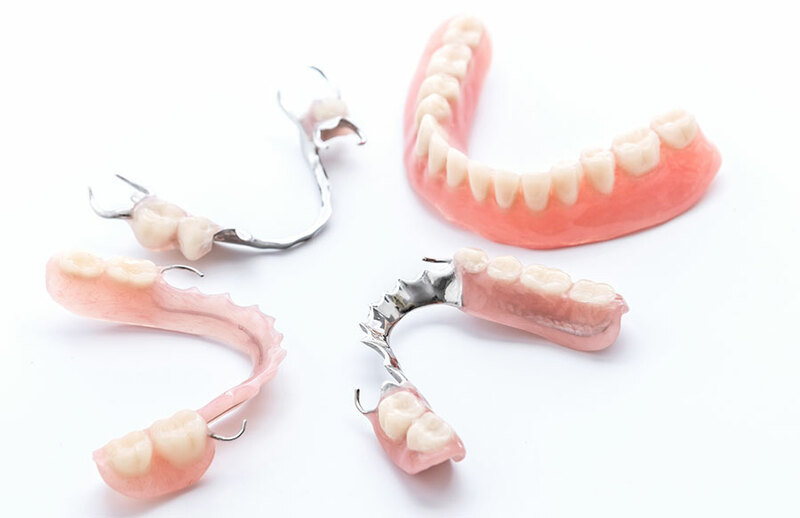 The partial denture (or removable partial prosthesis) can be used when the neighbouring teeth aren’t strong enough to support a bridge or when many teeth are missing. It consists of one or more artificial teeth and is held in place by hooks that attach to your natural neighbouring teeth. You can remove it yourself at night for cleaning. The full denture (prosthesis) is used when there are no longer any natural teeth. It’s removable, since it’s held in place by suction.